''This year I had the opportunity to go to Uganda and see Watoto’s projects first hand, including a project called Living Hope. I went out on a community visit, to meet some of the women who were a part of the program and living in a slum in Kampala. As I was introduced to different mothers in that community and spent time listening to their stories, I was struck by a haunting contrast. 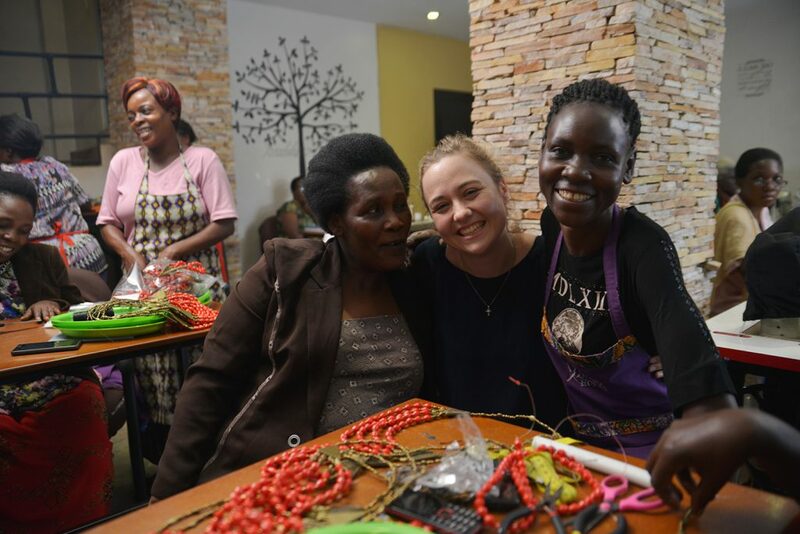 The women who I met that had the opportunity to be a part of our program and had learnt skills like sewing or jewellery making to help generate an income had this incredible sense of hope and confidence about them. They were providing for their families, connecting with others in the community and doing something they loved. The mothers I met who had not had this opportunity… words can’t describe the emptiness in their eyes. I can’t begin to imagine trying to care for several children and make an income. I can’t imagine not being able to treat my child’s illnesses. I could understand that emptiness… that hole where hope belonged. This fired me up. More than ever I wanted to help each and everyone one of them, but I could not do it alone.